Childhood memories of a council house garden, lovingly nurtured by her parents for more than 60 years, are the inspiration for an extraordinary collection of new work by Ruth Rotherham. 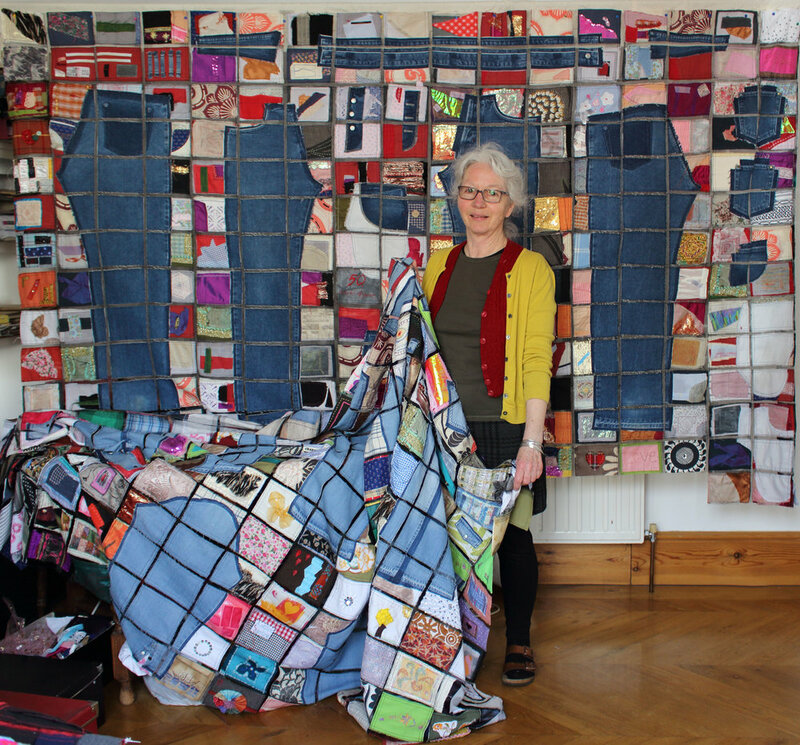 The felt artist, whose beautiful wall hangings, bowls and vessels go on show for the first time during the Leigh Art Trail (June 9-16), has poured herself into a project she describes as a "tribute" to her mother, 94, and late father. "I wanted to express and explore my memories of the garden from when I was little because it's the end of an era," says Ruth, whose mum moved out of the house last year to go into a nursing home. "I have sought to express the joy and pleasure that garden brought me though interpretations of the flowers and plants. Sights and scents transport Ruth, whose bold designs are a combination of wet felting and needle felting, back to a place with which she built strong emotional bonds. "There was a very large lilac tree and mum used to bring the flowers into the house. The perfume of lilac now takes me straight back to the garden,” she says. “Forsythia and lavender have a similar effect. "And every Sunday in summer I remember dad going into the garden and picking a rose or carnation for his buttonhole before church." Ruth's mum now suffers from dementia and the artist adds: "Because of that, we are not completely sure if she realises she is never going back to her home, which has been returned to the council. Ruth’s delightful work will be displayed at Paul Joseph Eyecare, 90 Elm Road, Leigh-on-Sea, during the Leigh Art Trail. Please find attached images. A massive gunpowder explosion blew up famed flagship The London on March 7, 1665, killing more than 300 crew and sinking her near Southend-on- Sea. The London had been anchored at the Nore and was preparing to head off to war with the Dutch. The wreck remains on the seabed three-and- a-half centuries later, close to Southend Pier, and in recent years divers have been bringing up artefacts before they are lost for ever to the sea. These finds are the inspiration for an exciting project by mixed media artist ALISON BOURNES entitled “Not all things go to plan”. This work will be shown for the first time during the 2018 Leigh Art Trail, which runs from June 9-16. Alison said: “I’ve been able to handle some of the finds from the wreck, ranging from wax candles, pewter spoons, rope, linstocks for firing cannons, glass bottles and leather shoes worn by the sailors of the ship. It was fascinating and thought-provoking. “The leather shoes really moved me. There in front of me was evidence of the human loss from this tragic accident, preserved so beautifully for 350 years in the silt of the Thames Estuary. 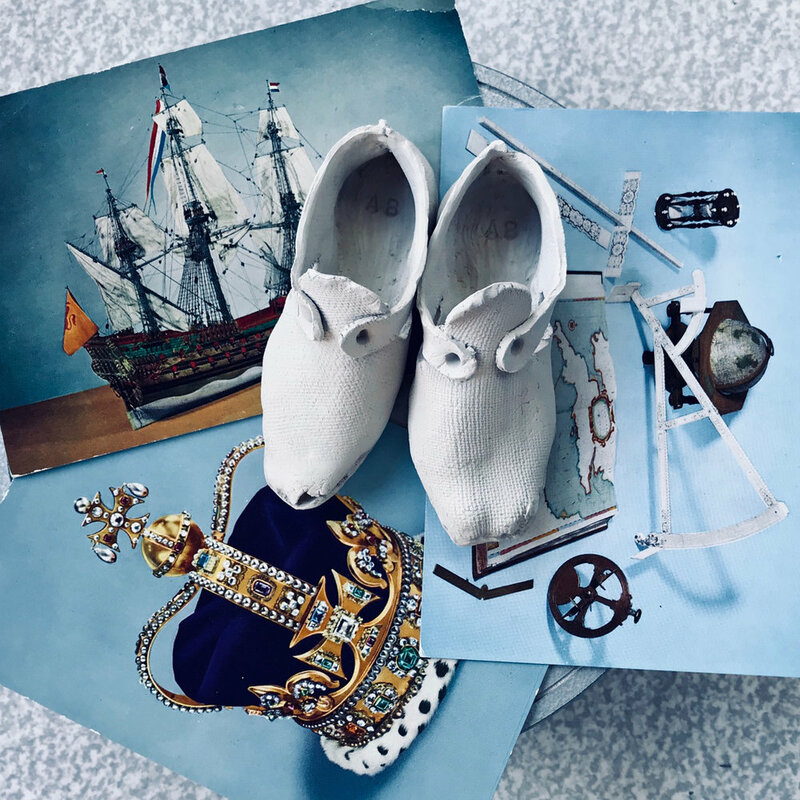 Alison’s exhibition features 300 pairs of ceramic shoes, individually made and stamped with symbols and words detailing the lives of those lost when the ship went down, as well as the effort that went into retrieving and preserving them. Alison added: “The exhibition also touches on the fact there are no records of those who died, although the time in which they lived saw England on the cusp of being a maritime world power. Alison’s beautiful work will be displayed at Store Thirty3, Elm Road, Leigh-on- Sea, during the Leigh Art Trail. Hi-res images available on request.